Three days before the opening day of 27th FIBA Asia Championship Cup in Manila, tragedy happened to the Malaysian national basketball team. The six-foot-five center, collapsed and died during invitation game in China. Jacky Ng Kiat Kee, 25-year-old center, said to be died in heart attack during basketball game in China, the Malaysian Basketball Association secretary-general Chey Tat Woon confirmed the news. According to Woon, Jacky was seated on the bench then suddenly he collapsed at around 4:30 p.m., and after less than three hours, he was declared dead. In the FIBA World ranking, Malaysian National Basketball League was in the 69th rank. And this year FIBA Asia Championship, Malaysia teams was included in Group C, together with China, Korea and Iran. Today is the formal opening of the 27th FIBA Asia Championship Cup live in Mall of Asia Arena, Pasay City, Philippines. 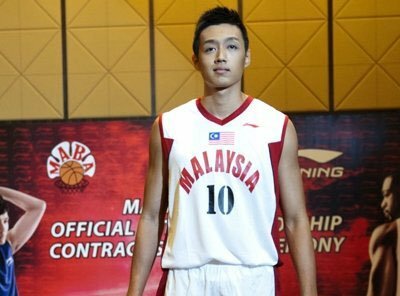 Comments or suggestions about "Malaysian player died during basketball game in China | FIBA Asia Cup" is important to us, you may share it by using the comment box below.